UAE-headquartered ride-hailing firm Careem has acqui-hired app-based Indian bus shuttle operator Commut as it readies to launch bus booking services in more than 100 cities globally. Careem, which is Uber’s main rival in the Middle East, has acquired Hyderabad-based Commut for its technology and talent resources. Separately, Gurugram-based bus aggregation platform Shuttl has inked a pact with Commut to absorb its customers and driver partners. Commut’s management team will now join Careem at Dubai while its customer services and other operations team have joined Shuttl in Hyderabad. “We did not want to shut the services because we have a very strong and loyal customer base who has been with us for over three years. We have handed over all of our operational units to Shuttl,” said Prasanth Garapati, chief executive officer of Commut. The size of both deals was undisclosed. Shuttl has been testing its services in Hyderabad with Commut’s fleet network and customers for over a month. Meanwhile, Careem will use Commut’s domain expertise and tech infrastructure to foray into the mass transportation segment in 14 countries comprising its existing market across the Middle East and North Africa, two people familiar with the development told TechCircle. It will officially launch its bus services shortly in Turkey, where pilots have been underway for some time, before expanding to other cities, one of the above-mentioned persons said. “Improving the quality and availability of mass transportation will help to create affordable transport options that can be a catalyst for moving cities forward, therefore we were interested in Commut,” Careem said in a blog post. The startup was founded by six graduates of Indian Institute of Information Technology-Hyderabad — Prasanth Garapati, Charan Thota, Hemanth Reddy, Jonnalagadda, Sandeep Kachavarapu, Srujai Varikuti — in 2015. 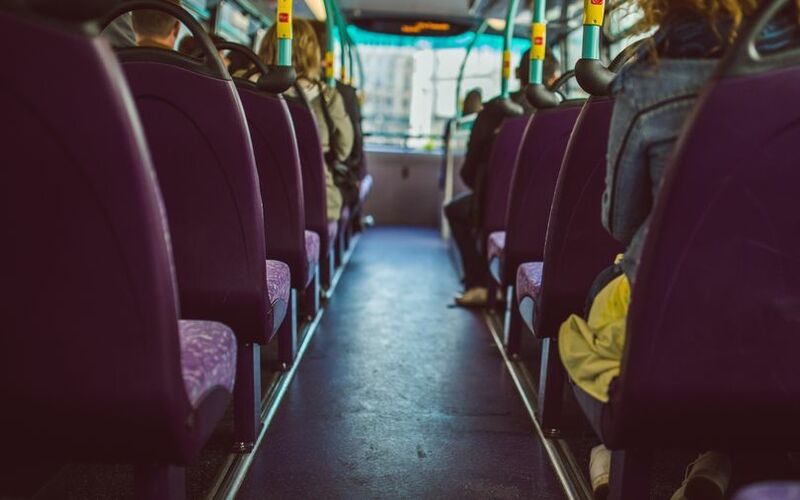 Commut claims to have made more than 750,000 trips within more than 100 existing routes, serving over 70,000 customers and on-boarding 400 driver partners. The startup is backed by UK-based Shell Foundation and 50K Ventures. The bus aggregator was founded in April 2015 by Amit Singh, an alumnus of Indian Institute of Technology-Delhi, and Deepanshu Malviya, an IIT-Kanpur graduate. Shuttl’s smart buses serve 45,000 rides daily in Delhi-NCR and is present in seven cities across India, including pilots in Kolkata and Pune. Currently, the company operates 800 buses on 150 routes. It also separately caters to corporates and provides vehicles for rentals. Gurugram-based Super Highway Labs Pvt. Ltd, which operates bus aggregation platform Shuttl, in July raised $11 million (Rs 75.5 crore thens) in a Series B funding round. Amazon Alexa Fund co-led the round along with Japan-based Dentsu Ventures. As per TechCircle estimates, the three-year-old venture is likely to have raised this round at a post-money valuation of roughly $80-85 million (Rs 550-590 crore). Lightspeed Venture Partners, Sequoia India and Times Internet had invested in the firm three years ago. Founded five years ago, Dubai-based Careem claims to have served over 20 million customers in more than 100 cities ranging from countries such as Pakistan, Turkey, Lebanon, Saudi Arabia, Jordan, Egypt and Morocco. According to several media reports, Uber has been in talks with Careem to combine their Middle Eastern ride-hailing services. In its most recent fundraising, Careem raised an undisclosed amount from Chinese transportation giant Didi Chuxing, in a new partnership deal that marked Didi's latest international expansion against rival Uber. Didi has also invested in several of Uber’s rivals globally, including US-based Lyft, Brazil-based 99, India’s Ola, Singapore-headquartered Grab, and Estonia’s Taxify. Careem has raised $572 million in funding so far from a range of investors, including a $150-million round led by Saudi Prince Alwaleed bin Talal's Kingdom Holding. German auto maker Daimler and Japan's Rakuten are also investors.